Neil Wilson has some big shoes to fill but he certainly has the right attitude and perspective to meet the challenge. I can’t wait to take on the responsibility and follow in the footsteps of a leader like John. Neil Wilson has some big shoes to fill but he certainly has the right attitude and perspective to meet the challenge. Wilson is the new leader of NAV CANADA, taking over from long-time aviation executive John Crichton who retired as president and CEO of the nation’s navigation service at the beginning of January. 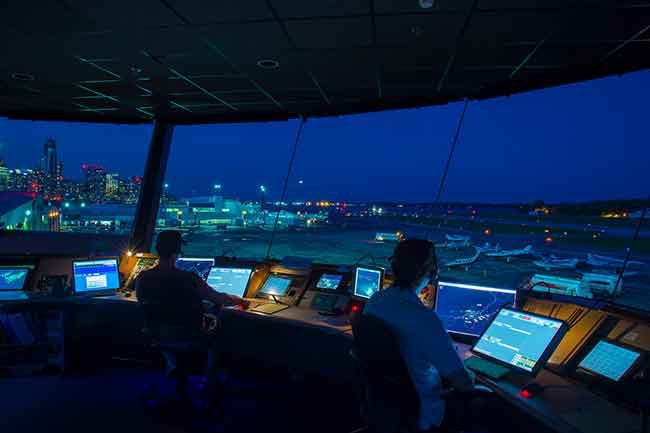 It marks a distinct sea change for the world-renowned air navigation service (ANS), but as Wilson points out, the transition couldn’t happen at a better time. The organization is clearly operating from a position of strength, having established itself as a global leader offering customers state-of-the-art products and services developed and nurtured by an expert group of highly-qualified and innovative staff. Wilson is no stranger to NAV CANADA. He recently held the position of executive vice-president, administration and general counsel. He joined the company in 2002 and prior to that, was a partner in a major Canadian law firm where his experience included assisting in establishing NAV CANADA as a private corporation and acquiring Canada’s Air Navigation System (ANS). For Crichton, the change marks the end of a tenure at NAV CANADA – and in aviation as a whole – that reaches legendary status. “I have been blessed with two very distinct careers,” Crichton said. He spent 24 years as a commercial pilot and as executive president at First Air, helping to establish air transport in the far north. He also served as president and CEO of the Air Transport Association of Canada (ATAC) from April 1994 to November 1997 and has won numerous aviation awards for his leadership and business acumen – including being appointed as a Member of the Order of Canada, Canada’s highest civilian honour, for his contributions to the safety and efficiency of air transportation in Canada. Crichton served as president and CEO of NAV CANADA from 1997 until this past January and helped transform a disorganized, dysfunctional government agency into a profitable, self-sustaining corporation funded through service charges, with access to the capital markets and subject to regulation by Transport Canada in respect to safety. The company is now viewed as a global leader in ANS technology and services, administering the movement of all regularly scheduled aircraft from the mid-North Atlantic to the Pacific Ocean, and from the North Pole to the U.S. border – a total of 18 million square kilometres of airspace. “The challenge was to take something that was embedded in government and take it out into the private sector and run it like a business. It was the largest privatization in Canadian history to date and we had a lot of help, good lawyers, accountants, and other talented people,” he said. Crichton is very proud of what NAV CANADA has become but stresses it’s not all about him: it’s an organization blessed with talented, hard-working individuals on all levels. “Our success is a testament to the great work that everyone has done over the years,” noted Crichton, who will serve as chairman of the board of Aerion, one of the company’s ASN products. “This certainly isn’t just about me – I am but one person.” Crichton is indeed one person the Canadian aviation world will definitely miss.